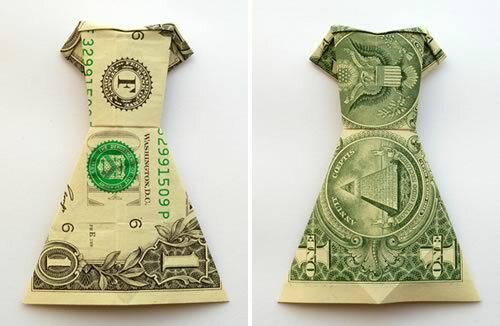 Want to learn how to fold a money origami dress out of a dollar bill (or any other bill)? Let me show you how. 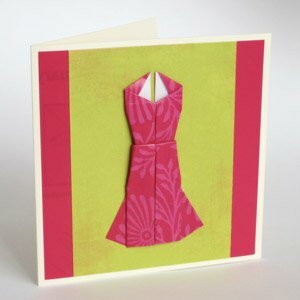 This dress is quick and easy to fold, and can transform a cash gift (or tip) into something creative and memorable. 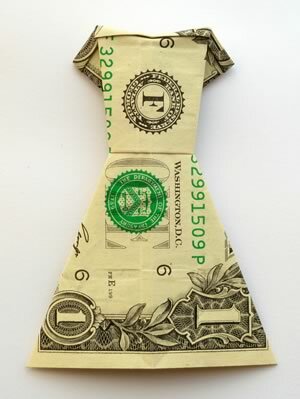 It's folded from a single bill - the photo below is a one dollar dress. My husband Tobias came up with this particular design so you won't find it anywhere else. "Just wanted to thank you for the great directions for the dress. 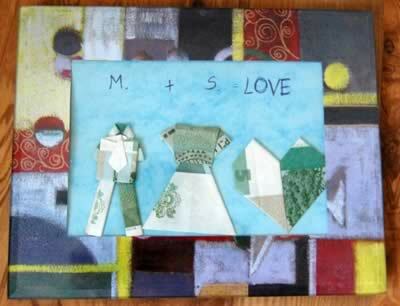 I made this for my granddaughter to give to a fellow girl scout's birthday card (see pic). 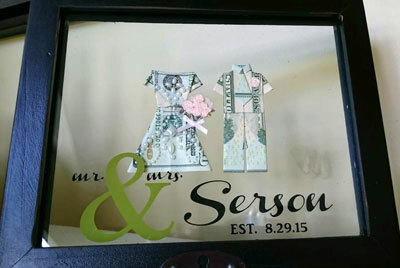 The green was great for this idea, and the gift was a hit at the party!" Thanks for sharing your pic Sharon! Click the image below to play the video. If it keeps stopping and starting it might be because you have a slow internet connection - try pausing the video and come back in a few minutes, or skip to the photo instructions below instead. All you need is a single, crisp bill. 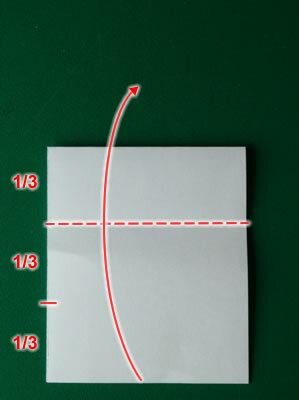 If your bill is crumpled then you can iron it to make it flat. I've only tried using US bills (which are 2.61 by 6.14 inches), but I'm sure you could adapt the design for other currencies too. Don't be daunted by the length of the instructions below. Folding the dress is actually really simple! The only reason the instructions look long is because I included loads of photos and broke the process down into simple steps. 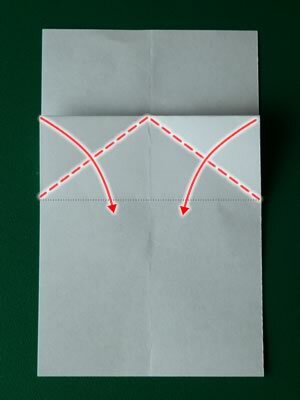 Fold the bill in half by folding the top edge down to the bottom edge. 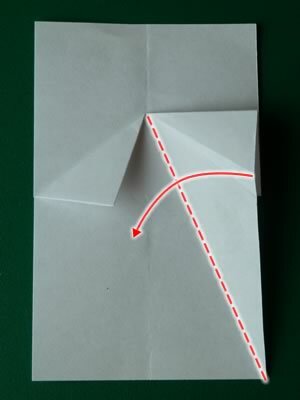 Fold the bottom edge up again, so that the crease goes through a point about 1/3 of the way from the top. Don't worry about measuring 1/3 exactly - guessing it roughly is fine. Turn over the bill. 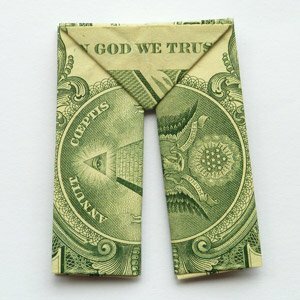 Then fold the bill in half lengthways and unfold again, just to make a crease going to down the center. Your bill should look something like this. 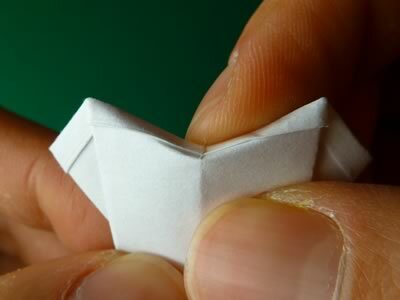 Unfold the fold you just did on the right in step 3. 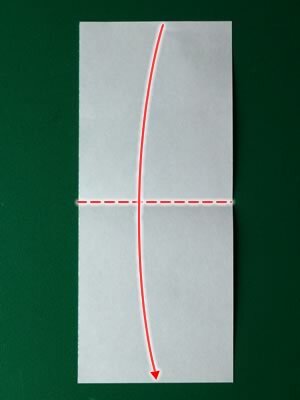 Then fold in along the line shown here. 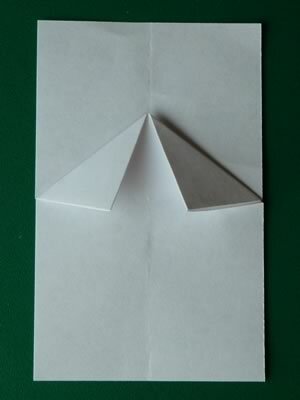 As you make the fold, you'll open up a sort of "pocket" in the paper and then squash it flat. Here are some more photos showing what happens in more detail. 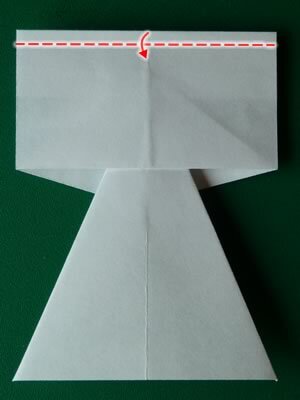 Fold the top edge down so that the crease is about 1/3 of the way down the top section. Like I said earlier, don't worry about measuring 1/3 accurately. Just eyeballing it is fine. Turn over the bill. Then fold the top edge down about 1/8 inch (3 mm) - that's roughly the thickness of a matchstick. This folded over bit will be the trim on the neckline and sleeves of the dress. Turn over the bill again. 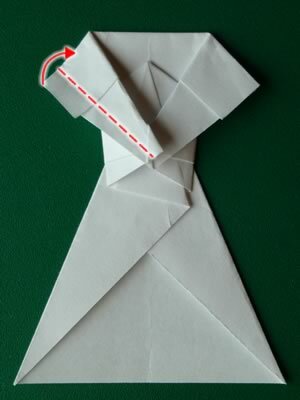 Fold the right side in at a slight angle, like this. You should fold in as far as it goes. The exact angle doesn't really matter. It just sets the angle of the torso of the dress to give the dress a bit of an hourglass shape. 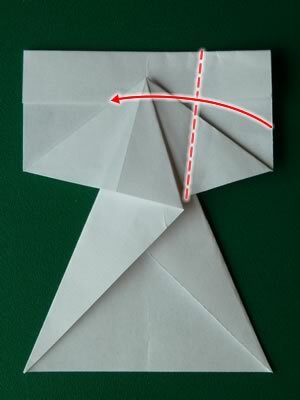 Repeat the fold on the left side too. 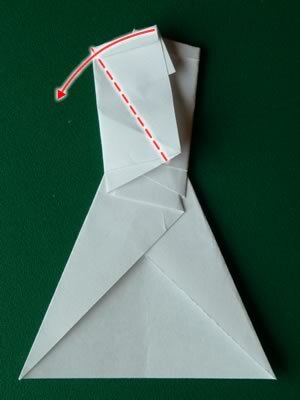 Fold the left flap back out at an angle like this. 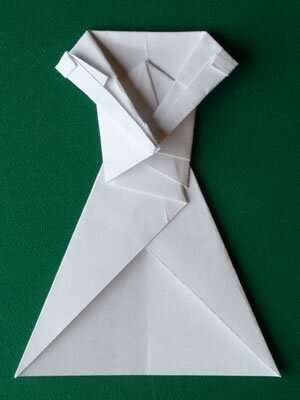 This fold is making the sleeve of the dress. 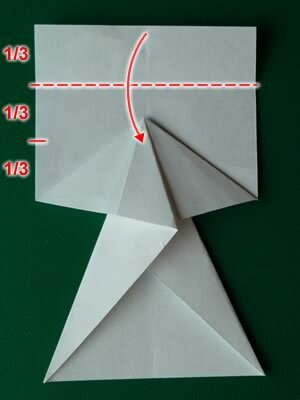 Make the same fold on the right side too. 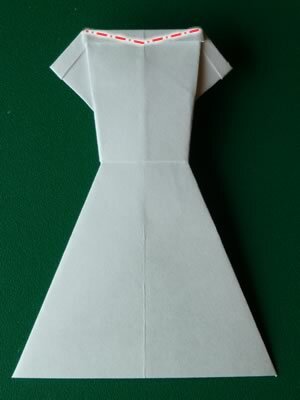 Fold back in again slightly, to shorten the sleeve of the dress. 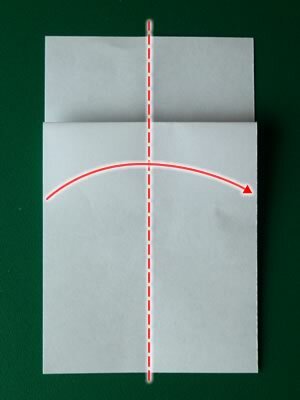 The exact distance you fold up doesn't matter - you'll just end up with a longer or shorter sleeve. 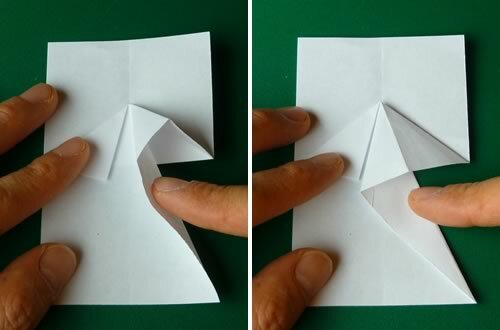 Make the same fold on the right too. Your bill should now look something like this. Turn over the bill. 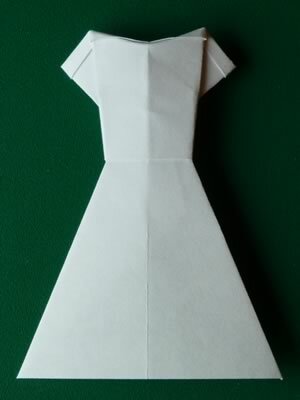 Fold back the top edge slightly to give the dress a gentle v-neck. Here's a close-up. You can't fold the top edge completely back, only a little bit, but that's enough. 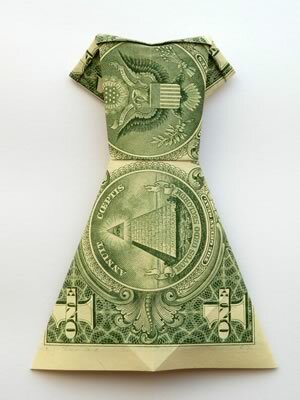 Here's the finished money origami dress. 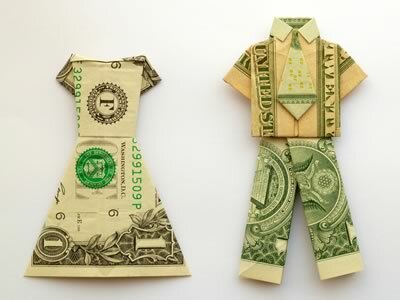 How did your money origami dress turn out? I hope you found my instructions clear. If you have any questions or comments, or just want to say hi, then please contact me with this handy form . "Thank you for your instructions! 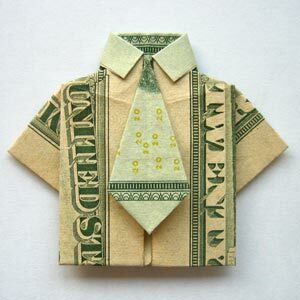 I made the dress + origami shirt and tie because I wanted a creative way to give money to my best friend at her wedding. My friend really liked the present - she gave me the diploma for the most original present!" Thanks for sending in your photo Ieva! Thanks for sharing your photo Chi! 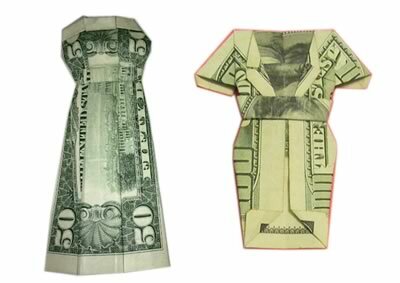 Here are some other money origami dress designs you might like to try. Clicking on the links below will open in a new window and take you to external sites. Thank you to readers Sue and Thomas who sent in these photos! We hope you liked our folded dress instructions. Here are some other projects on our site that you might enjoy too!